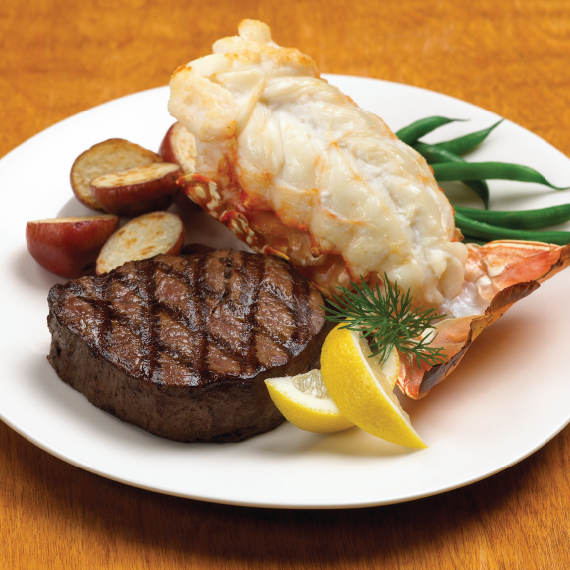 Straub's USDA Prime Filet Mignon & Lobster Tail Combos are the perfect gift for anyone who enjoys a great surf and turf meal. Our USDA Prime Filet Mignons are from the center portion of the tenderloin and are the most tender and leanest of all steaks. Our world renowned Lobster Tails are known for their incredible sweetness and tender texture. These tails come straight from the icy cold waters off the coast of South Africa. Choose to add a 750 ml bottle of our Hess Select Cabernet Sauvignon (California) to perfectly complement this delicious steak.